CyberLink MediaEspresso - download in one click. Virus free. Download the latest version of CyberLink MediaEspresso with just one click, without registration. It comes with a safe official web installer for Windows. CyberLink MediaEspresso is a versatile utility that offers fast and streamlined conversion processes of almost any media files. With a wide support of all the popular multimedia files, the converter also handles most devices, including iPhone, Android and Windows smartphones, popular game consoles, tablets, and media players. 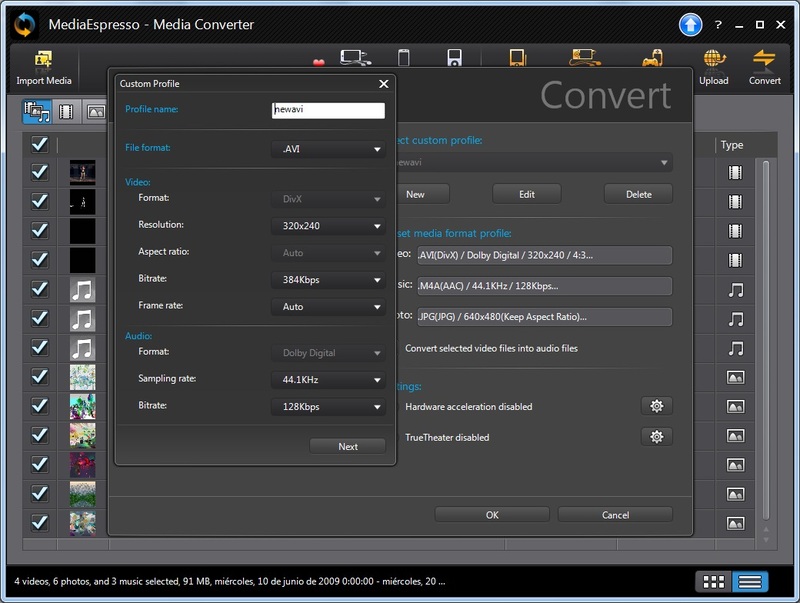 With MediaEspresso you can not only convert images, music and video files, but also watch video content in the program's built-in media player, extract audio streams from it, as well as upload files to Facebook or YouTube without quitting the converter. MediaEspresso's Smart Detect technology will facilitate your viewing experience by recognizing your device connected to your PC and setting the optimal output formats and resolutions for multimedia files. Additionally, MediaEspresso features the notorious CyberLink's TrueTheater technology, which should greatly enhance image quality in your converted videos. 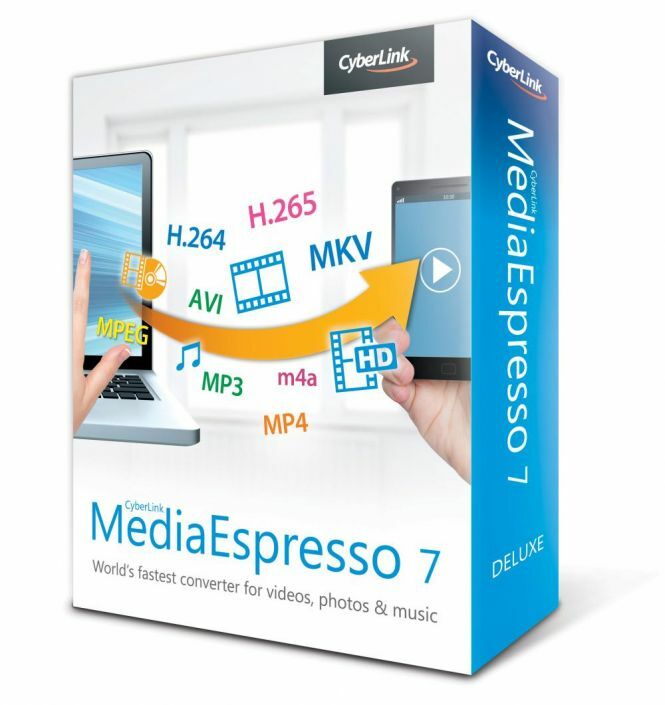 Thanks to HEVC (High Efficiency Video Encoding or H.265) designed with advanced encoding techniques, CyberLink MediaEspresso will transform H.264 videos to H.265 to save space on your hard-drive and improve the image quality. Besides, applying hardware acceleration built into the latest Intel® Core™ processors, MediaEspresso provides the fastest conversion speed compared with other known media converters. All in all, as you can see, CyberLink MediaEspresso represents a powerful solution for those who look for a fast and reliable media conversion tool, with a wide range of supported formats, additional features and options, built-in media player, and various quality improving techniques.